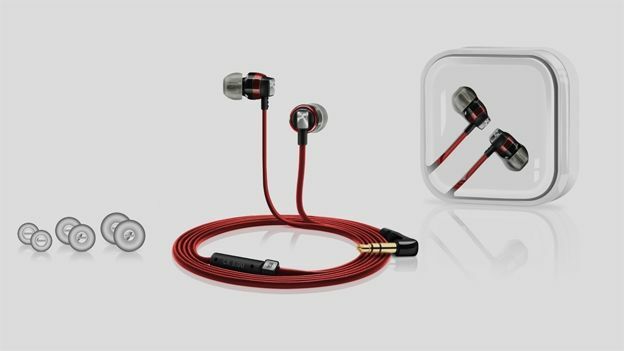 Sennheiser's lifted the lid on its new CX series of in-ear headphones ahead of the official launch at this year's IFA tradeshow in Berlin. The new range sports a stylish new look, and promises improved sound performance, enhanced bass, and a more lug-snug fit. Joining the Sennheiser line-up are the CX 1.00, 2.00, 3.00, and 5.00. The latter takes pride of place at the top of the roster, and touts the 3.00's strong acoustic design plus a 3-button remote paired with a multi-directional mic. Different models will be supplied to support both Apple iOS and Samsung Galaxy phones specifically. "Expectations are shifting and people are expecting more from their music," reckons Christian Ern, Director of Product Management at Sennheiser. "Building on Sennheiser's seven decades of experience in delivering excellent sound, the CX series anticipates this demand." While the old CX earbuds covered bass to frequency depths of around 19Hz, these new offerings should provide clear rumbles down to an impressive 17Hz. T3 had a chance to try out the CX 3.00, and we're pleased to say there's a definite noticeable improvement in bass depth and clarity between the new and old models. The CX 3.00 buds come in white, black, and red, while the 5.00 variant comes in just black and white. Both models sport a newly oblongated metallic Sennheiser logo - a Beats challenge, no doubt. Sennheiser told T3 it steered clear of garish colours to make sure the earbuds would have a long lifespan, rather than losing its chic-appeal at the whim of seasonal fashion. All of the CX headphones ship with four different earsleeves, so even the most anomolous lug-holes will be supported by Sennheiser's latest in-ear wares. As a bonus, the CX 3.00 and the CX 5.00 will both come with their own hard carry case, meaning your buds should stay tangle free. The audio firm's told us that the following retailers will be stocking the fast-approaching CX buds at launch early next month: Maplin, Dixons, Dixons Travel, John Lewis, HMV, Richer Sound, and Sennheiser's own online store.